23860 Canyon Vista, Diamond Bar, CA 91765 (#300968578) :: Ascent Real Estate, Inc. PRESTIGIOUS "DIAMOND HILL" 24 HR GUARD GATED COMMUNITY. BEAUTIFUL 180 DEGREE CITY LIGHTS VIEW. NICE AND PROFESSIONAL LANDSCAPED FRONT & BACK YARD W/ PATIO, LYNX DOUBLE BURNER B.B.Q. ( with outdoor Refrigerator), 6 BED 4 BATH+ LIBRARY & GAME ROOM (2 BR 1 BA DWNSTRS). CERAMIC TILE ENTRY . LIGHTING LEADS TO LIVING ROOM W/ FIREPLACE. FORMAL DINING/R W/ DESIGNER LIGHTS, OPEN . SPACIOUS FAMILY ROOM HAS CUSTOM DESIGNED BUILT- IN ENTERTAINMENT CENTER,4 SURROUND SOUND SPEAKER & 2ND FIREPLACE. 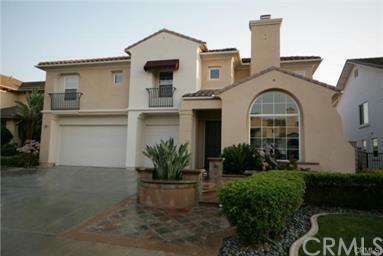 GOURMET KITCHEN W/ GR PRESTIGIOUS "DIAMOND HILL" 24 HR GUARD GATED COMMUNITY. BEAUTIFUL 180 DEGREE CITY LIGHTS VIEW. NICE AND PROFESSIONAL LANDSCAPED FRONT & BACK YARD W/ PATIO, LYNX DOUBLE BURNER B.B.Q. ( with outdoor Refrigerator), 6 BED 4 BATH+ LIBRARY & GAME ROOM (2 BR 1 BA DWNSTRS). CERAMIC TILE ENTRY . LIGHTING LEADS TO LIVING ROOM W/ FIREPLACE. FORMAL DINING/R W/ DESIGNER LIGHTS, OPEN . SPACIOUS FAMILY ROOM HAS CUSTOM DESIGNED BUILT- IN ENTERTAINMENT CENTER,4 SURROUND SOUND SPEAKER & 2ND FIREPLACE. GOURMET KITCHEN W/ GRANITE COUNTERTOPS, KITCHEN ISLAND, KITCHEN APPLIANCES ( BLACK BUILT-IN DOUBLE OVEN & MICROWAVE. G.E. DISHWASHER, STAINLESS SINK). LRG MATSER STE W/ RETREAT, HIS & HERS WALK-IN CLOSET. MASTER BATH W/ SEPARATE SHOWER & BIG BATH TUB. CEILING FANS. UPG PLANTATION WOOD SHUTTER. SATELLITE DISH PREWIRED. CUSTOM DESIGNED GARAGE CABINETS & EPOXY GARAGE FLOORING. Listing provided courtesy of Presidential Inc. Listing information © 2019 San Diego MLS, Inc.